Not getting suffienct praise from real people, a chagrined Martha McSally was caught praising herself on Facebook. 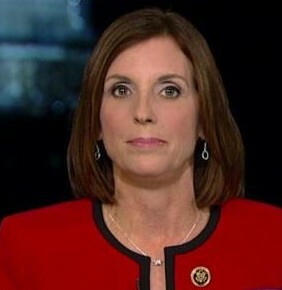 Rep. Martha McSally just pulled ahead in the GOP race for US Senate in a poll of Arizona Republican voters. In a big shift since April, McSally now leads with 39.5 percent of the GOP vote, according to Phoenix-based OH Predictive Insights. 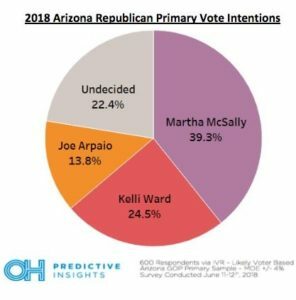 Splitting the right-wing vote are former state Sen. Kelli Ward with 24.5 percent of GOP voters and disgraced, convicted Joe Arpaio scraping the bottom at nearly 14 percent. Combined they have less support that McSally. Evil Joe Arpaio has become an embarrassment to Republican voters. Arpaio got a question during a GOP candidate forum in Green Valley on June 7, where an audience member asked him to drop out of the race — but Arpaio refused. About 22 percent of GOP voters have thrown up their hands and are undecided. Early voting is 40 days away for the August 28 primary vote. The poll attributes McSally’s new lead to her flip-flops to the right, her cuddling up with Trump and her support for a stupid border wall. For example, McSally sponsored a bill in Congress to create a path to citizenship for DACA Dreamers, but in May she pulled her name from the bill. She reversed her earlier position and co-sponsored an anti-immigrant bill led by arch-conservative US Sen. Bob Goodlatte, which went down in flames last week in Congress. Hence she is known as Martha McShifty. In a TV interview , she ducks questions by changing the subject, talks so fast that a person can barely understand her, and jabbers at the interviewer as if he were a tree stump. Sponsoring hate against immigrants will likely doom McSally’s run in the general election. Two new polls show that Trump’s fixation on building the wall and reducing the number of immigrants are making those ideas less popular. A Gallup poll published last week shows that a record-high 75 percent of Americans think immigration is a good thing for the US. Furthermore, Gallup found a record-low number of Americans — only 29 percent — think immigration into the US should be decreased. A Pew Research Center poll published last week found that Democrats have opened a 14-point advantage over Republicans when registered voters are asked which party would better handle immigration. This is the largest Democratic advantage on immigration in Pew’s polling since 2006. The nation was horrified at Trump’s policy of taking children away from parents trying to cross at the Mexican border. Facing worldwide outrage, he backed down on June 20, signing an executive order requiring immigrant families be detained together. This kind of governmental cruelty and racism has engendered a backlash against harsh immigration policies and has fired up a furious Democratic base. Creating jobs that pay well. Sinema is a US Congress member from Arizona’s 9th district in Phoenix and is the leading Democratic contender for the US Senate seat. In her commercials, she is already running for the general election. 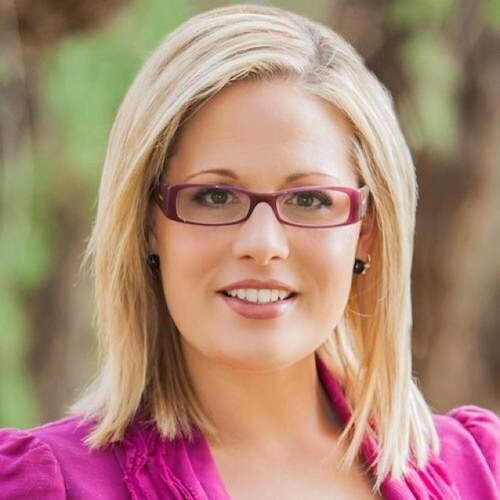 Sinema is popular as a Congress member and has easily won her elections. Where McSally has raised $3.3 million in donations, Sinema has raised $6.37 million. The Bernie Sanders fringe of the Democratic party may say she is not progressive enough, but that’s because she’s running in purple Arizona and not deep-blue California. Arizona active registered voters are 34.6 percent Republican, 34 percent independents, and 30 percent Democratic. Accordingly, Sinema’s campaign has emphasized middle-of-the-road issues like affordable access to health care. Voters cite health care as a top issue heading into the midterm elections. The only reason Democrats support these illegals is because they have lost all respect from every class of America. When was the last time they fought for unions. Illegals lower the wages of union workers They compete against carpenters, electricians, plumbers, steamfitters. Democrats will say one thing to get elected and then do the opposit once in office. Do not I repeat do not vote Democrat or we will become a third world nation. In a June 13th post at skyislandscriber.com I wrote this about Sinema’s record vs. that of McShifty. At the time of this writing, it appears that a likely match-up for the AZ U. S. Senate seat will be between Sinema and McSally. When it comes to deciding on how to vote, if you want ideological purity, you could point to the difference between Sinema and Grijalva (100% – 85% = 15%) and stay home. But if you want to flip that seat held by Republican Jeff Flake to a Democrat, you should focus on the difference between Sinema’s progressive score vs. that of McSally (85% – 3% = 82%) and Get Out to Vote. We Dems must not make the same mistake that put McShifty into Congress. Raul Grijalva is the real deal for progressives, but it is doubtful, in fact it is almost a certainty that he could not win a statewide election in Arizona. And he’s not running. Democrats need to get out the vote and vote for Democrats. Period. This is not the time for ideological grandstanding. It is also not the time for establishment Democrats to be referring to Bernie Sanders and his supporters as “fringe”. Also, regarding Kyrsten Sinema and her running on issues that “voters say are important” (access to affordable healthcare, supporting public education, and creating jobs that pay well), I wish her luck. There are many other issues that are important to voters, issues that are far more controversial and divisive. Ms. Sinema and all Democrats need to be prepared to take a stand on some of these issues. McSally is taking the pro-Trump, hard line, ultra-conservative, right wing stand on every issue. She is betting that in a statewide election, there is still enough support for Trump to put her in Flake’s seat. And this is probably her best strategy as she herself has accomplished absolutely nothing as a politician and appears to be motivated by nothing other than an obsession with power. But Democratic voters don’t march in lockstep the way Republicans do. They are going to want some answers from the candidates. At some point, Ms. Sinema will need to get past the stories of her childhood without health insurance and how she will fight for everyone to get a shot at the American Dream etc…That’s all well and good. I want that too, but there’s a lot of other stuff going on right now and it’s only going to get worse. What you say is very interesting. I could not find the post you referred to at skyislandscriber.com. Is there a handy way (and one that won’t take many hours) to look at those 33 votes? Click on “Votes Against Party 22.6%” to see those votes. On that page look on the far left for “See All Votes” and click on that if you really want a comprehensive list. Here is the link to my spsreadsheet on Sinema’s voting record on progressive issues (at least as I defined them). 2 “The Bernie Sanders fringe of the Democratic party may say she is not progressive enough”….No, she is not progressive AT ALL. I copied everything after the link from Bernie Sanders’ website. It’s a list of most of the issues that he discusses. Is this the fringe? Please explain. Because if this is the fringe then I would be very concerned about what constitutes the Democratic mainstream. Bernie is an actual Democrat, who can’t be in the Democratic party because the Democratic party is corporate owned. “Rep. Martha McSally, R-Arizona, was caught Monday apparently posting a compliment on her own Facebook video.